More energized and focused than ever before in their near 25-year career, roots-music troubadours Donna the Buffalo released their first studio album in five years, Tonight, Tomorrow and Yesterday, Tuesday, June 18, 2013 via Sugar Hill Records. The album debuted at #20 on the Americana Music Charts, and this past week rose to #10! 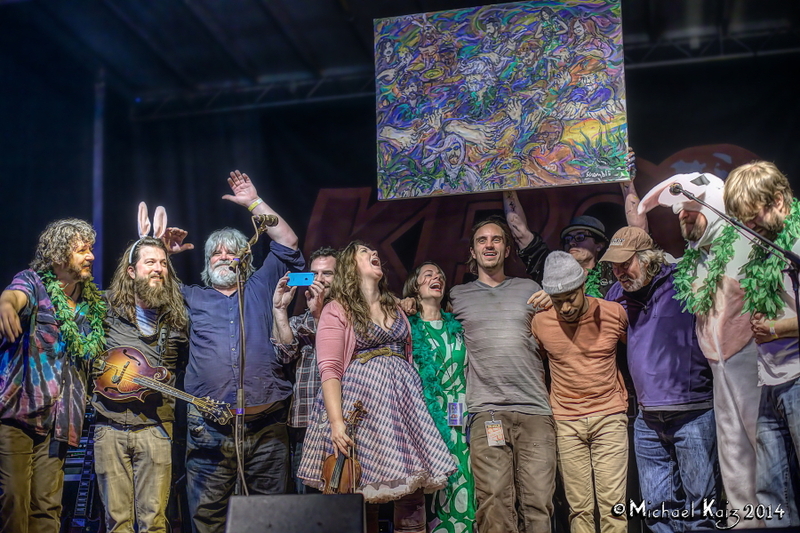 Tonight, Tomorrow and Yesterday—the group’s 10th studio album—proves the band as a consistent steward of Americana music, their signature sound—traditional mountain music infused with elements of Cajun, rock, folk, reggae and country—an eclectic and extraordinary melting pot of such. 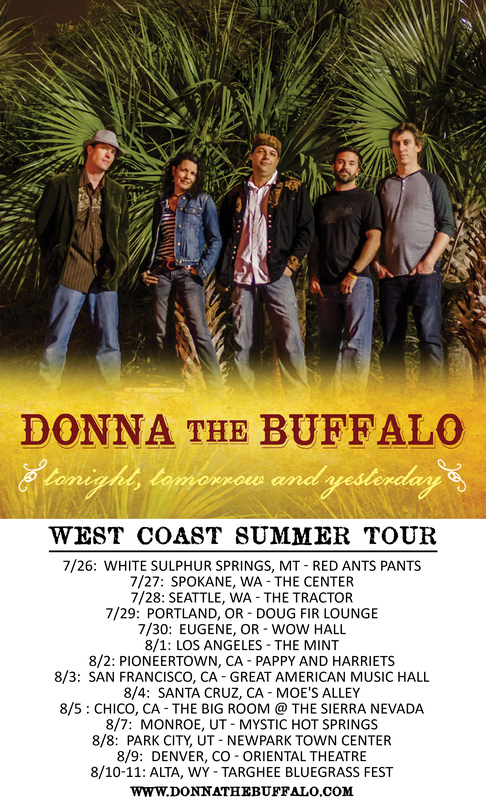 Donna the Buffalo has a hefty tour lined up for the Summer season which includes a few weeks on the West Coast. 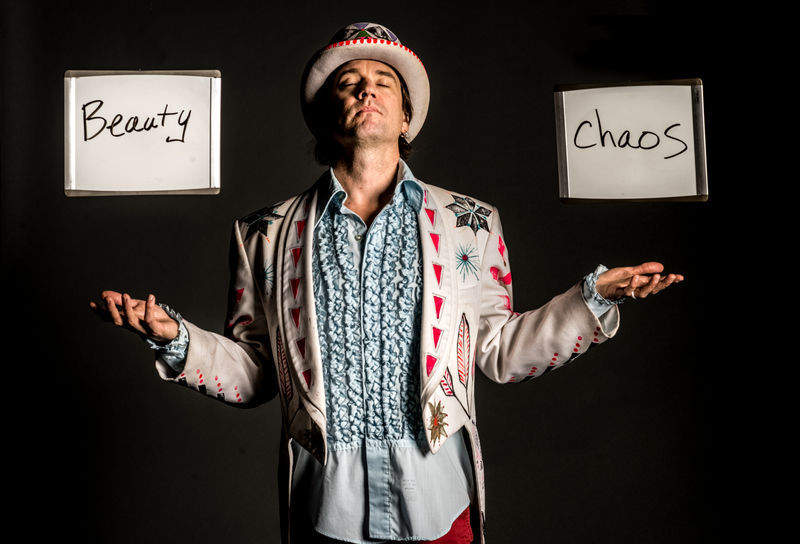 They start off at the Red Ants Pants Festival in Montana on July 26th and travel over throughout the Northwest before heading down for shows at the Mint in LA and Pappy and Harriet’s in Pioneertown. 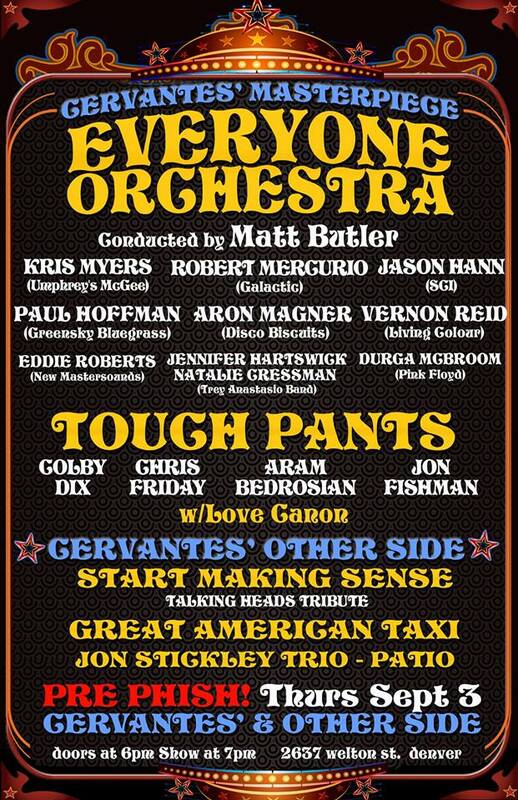 Saturday, August 8th marks their return to The Great American Music Hall followed by shows in Santa Cruz and Chico and then on to Utah for shows in Monroe and Park City. 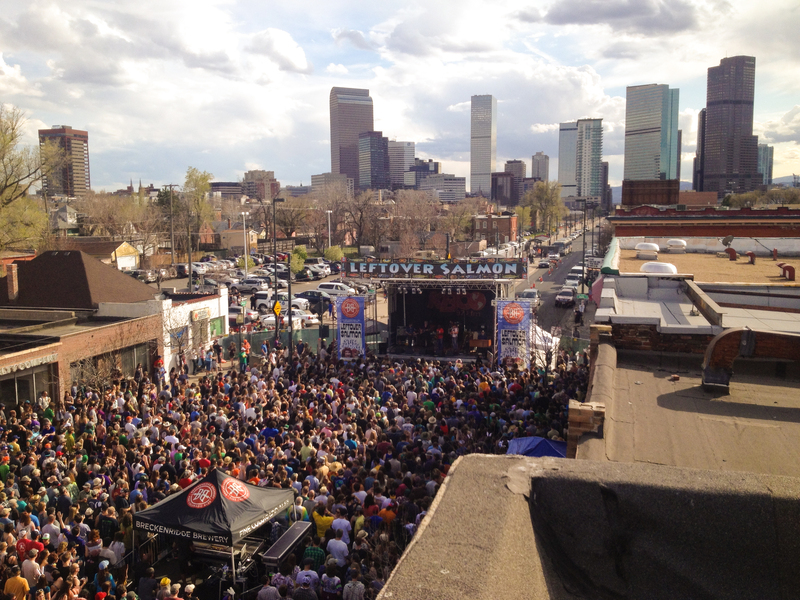 They pop over to Colorado for a show in Denver and then the tour ends at the Grand Targhee Bluegrass Festival in Wisconsin. The band will be performing the songs from the new album, mixed in with older favorites, live across the country this summer.